The SALTO Mifare E9CD0U00IM48 Compact "U" Double Read In/Read Out Satin Stainless Steel controls both entry and exit access of a door. Its audit trail facility can identify entry and exit actions and it can be fitted to almost any type of Euro profile door. 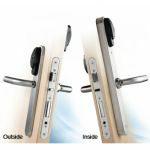 It will also operate with a wide range of locks including Swiss cylinders. Identifies entry and exit in RFID models. 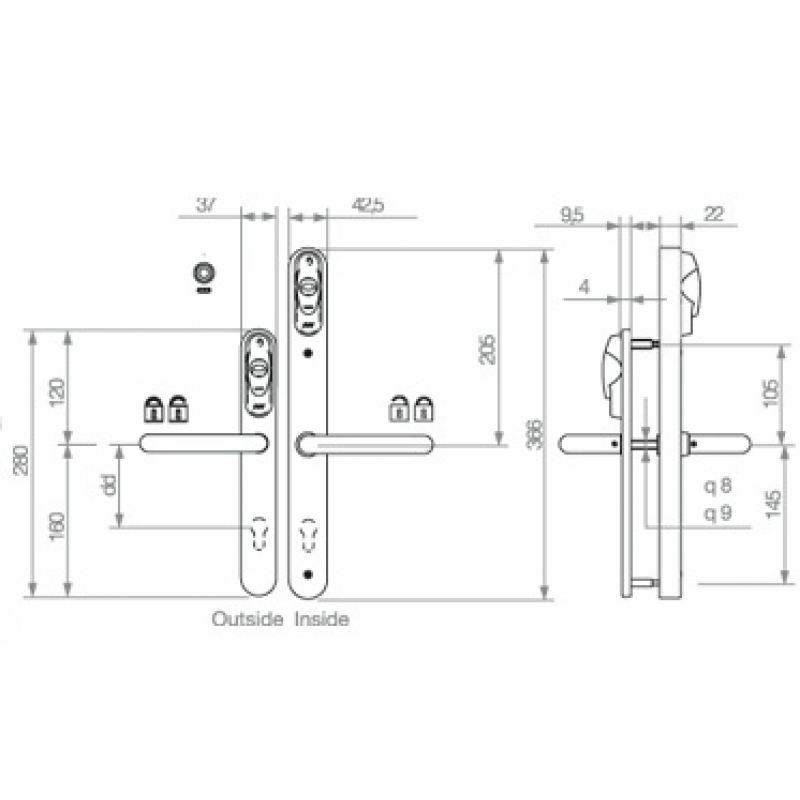 Inside escutcheon dimensions: 366mm x 42.5mm x 22mm. 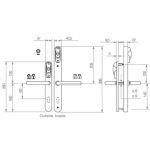 Outside escutcheon dimensions: 280mm x 37mm x 9.5mm. Distance from the handle to the cylinder: 70mm to 92mm. 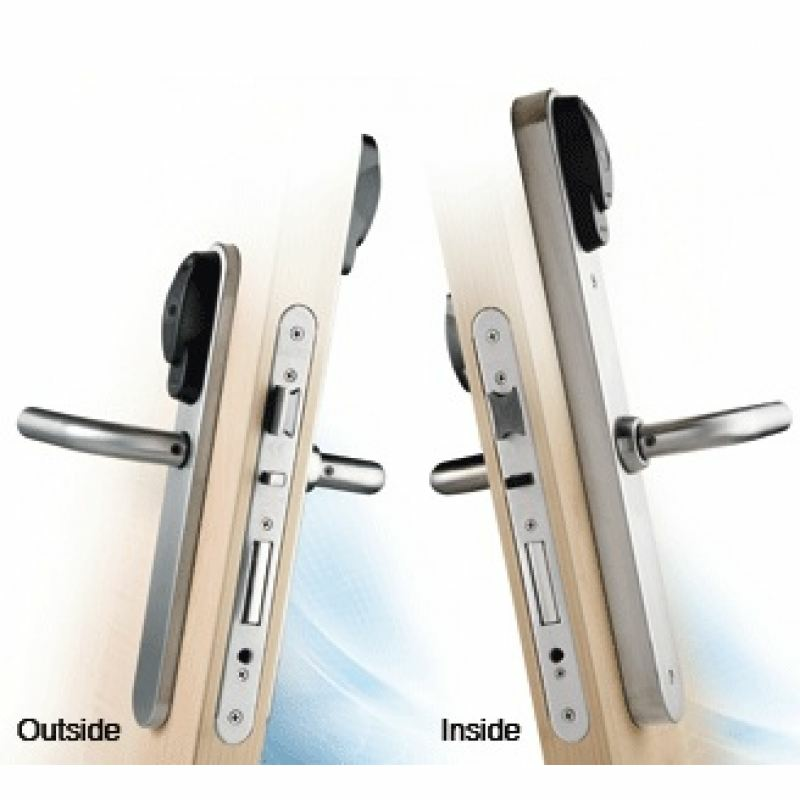 Compatible with DIN mortise locks, European mortise locks and narrow style mortise lock. Square spindles available: 8mm & 9mm. Time zones: 256. Time periods: 256.